A five-minute walk from my hotel brought me to the pick-up area where I was greeted by a friendly tour guide who took my name then helped me onto the bus. We drove along the lovely English countryside until we arrived at the small town of Bath. 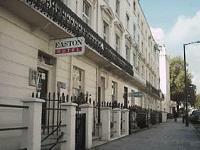 With a population of 80,000, Bath became a World Heritage Site in 1987. 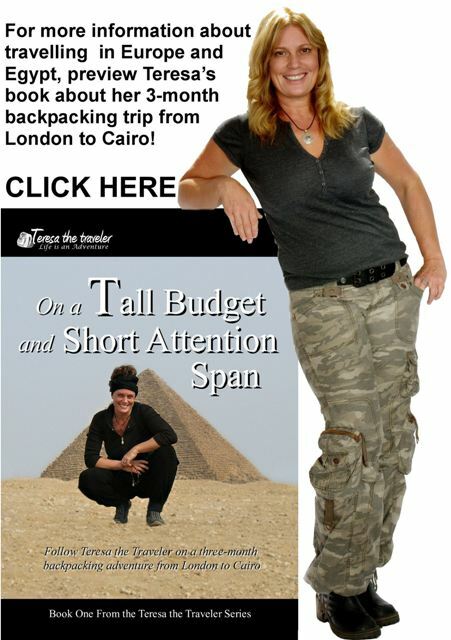 It caters to one million overnight and 3.8 million day visitors each year. Most people come to Bath to see, you guessed it, baths. Magnificent baths built during the Roman occupation are fed from a natural spring where one million liters of boiling water flow daily. These mineral baths were thought to heal as well as relieve the stress of those who soaked in them. The actual baths are below street level and have four main features, the Sacred Spring, the Roman Temple, the Roman Bath and the Museum. The water which bubbles up from the ground to feed the bath originates from rain that falls south of Bath on the Mendip Hills in Somerset. The water sinks down through the limestone to depths of up to 4,300 meters where the geothermal energy raises the water temperature to between 64-96 degrees Celsius. The heated water then rises to the surface along the faults and fissures in the limestone. The water is considered unsafe partly because it still passes through the original lead pipes, but mostly due to the danger of infectious diseases. The pool was closed to bathers in 1979 after a girl swallowed some of the water and died five days later from amoebic meningitis. I dipped my hand in the water and was surprised at how warm it was. If I wasn’t so afraid of being kicked out or contracting meningitis, I would have jumped in. According to legend, if you make a wish and drop a coin into the pool your wish will come true. 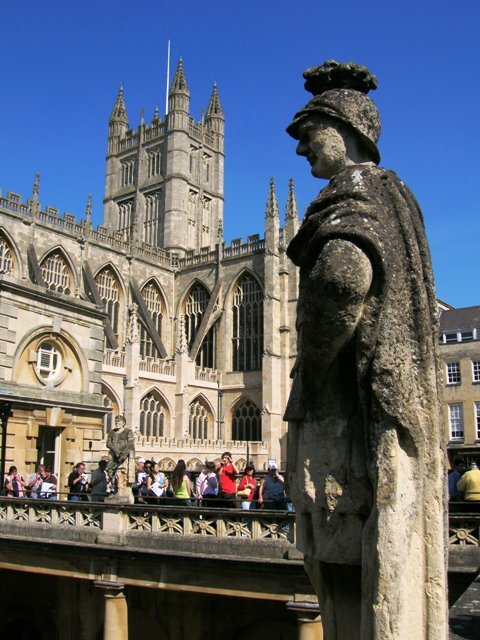 In fact, the museum houses a variety of artifacts from the Roman period including over 12,000 Roman coins which were thrown into the Sacred Spring presumably as offerings to the goddess Sulis - a local goddess whose name appears nowhere other than on inscriptions at Bath. Many of her worshipers made offerings relating to matters of theft wanting her to punish those who stole from them. They often requested Sulis to affect the well-being of the perpetrators by denying them sleep and causing their normal bodily functions to quit working until they returned the items in question. One message found on a tablet in the Temple at Bath (once decoded) read: "Dodimedis has lost two gloves. He asks that the person who has stolen them should lose his mind and eyes in the temple where she appoint." 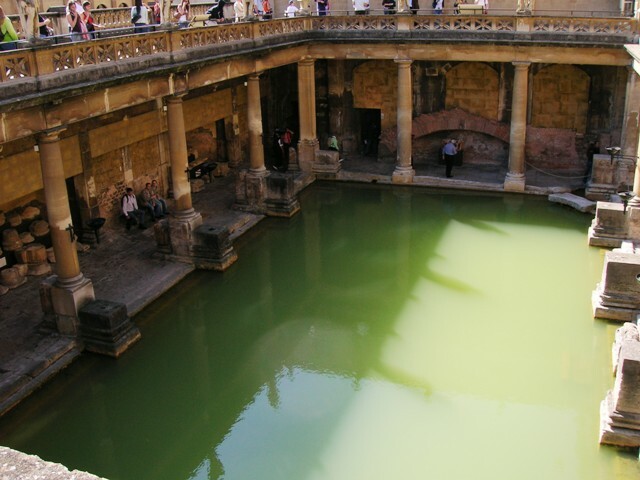 Roman coins were thrown into the spring as an offering to the goddess Sulis.One of the most interesting displays was the remains of the elaborate hypocaust heating system constructed by the Romans to heat the sweat rooms. and smoke from the furnace could pass to be released through flues in the roof so as not to pollute the interior of the room. This was a very labor-intensive and expensive form of heating that required constant attention to stoke the furnace fire with wood, therefore it was only used by public baths and the rich. Having learned all I could about Roman Baths and how to avenge thieves, I boarded the bus for Lacock. How to Get There - Fly to London and book a private Stonehenge tour that stops in Bath and Laycock along the way.